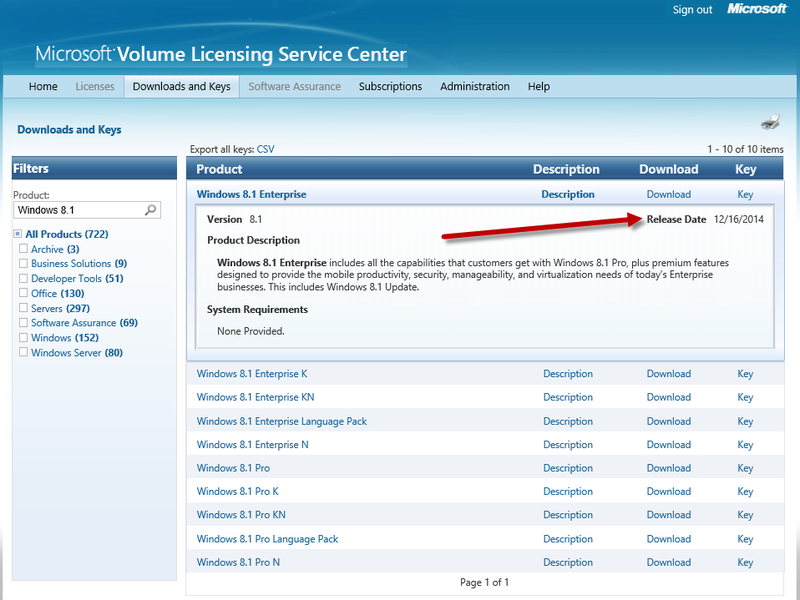 The first step in getting an Operating System into MDT is downloading it from Microsoft Volume Licensing Service Center (if you have access). 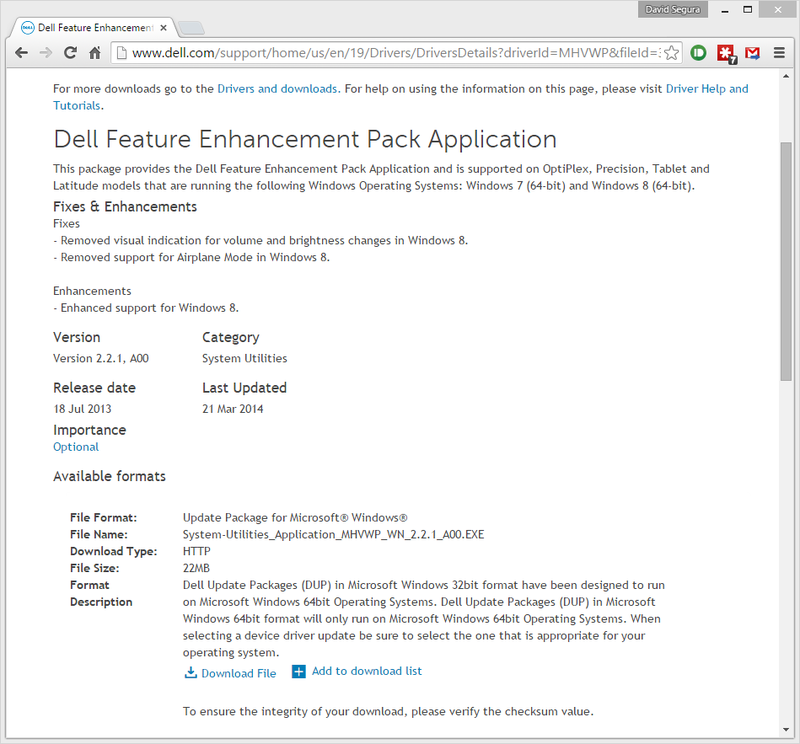 It is very important to note the Release Date, as an Operating System can have multiple Release Dates, even without a Service Pack being added. These are typically released after Update Rollups. MyInstall has been updated to support Server OS’s. Config files will be updated automatically and by default Server OS is set to False. I recently had an issue where my MDT Drivers (DeploymentShare\Out-of-Box Drivers) had grown considerably when I added drivers for new models. 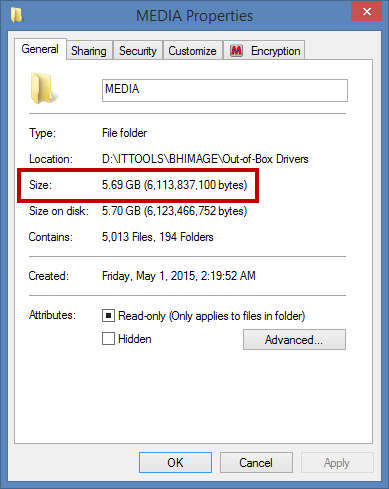 After further checking I determined that it was my Media directory that was consuming 5.7GB (of 18 GB). A friend of mine was kind enough to share her MDT Applications with Command Lines. MyInstall.vbs makes quick work of BIOS Updates. For example I am working with a Latitude E6440 that has a BIOS of A05 and I need to get it updated to A12. All I need to do is know my BIOS Switches, add my Min and Max version, set my Hardware requirements . . . and assuming I added the proper configuration to ZTIApplications, my system will reboot if necessary. Ok this is a challenge. 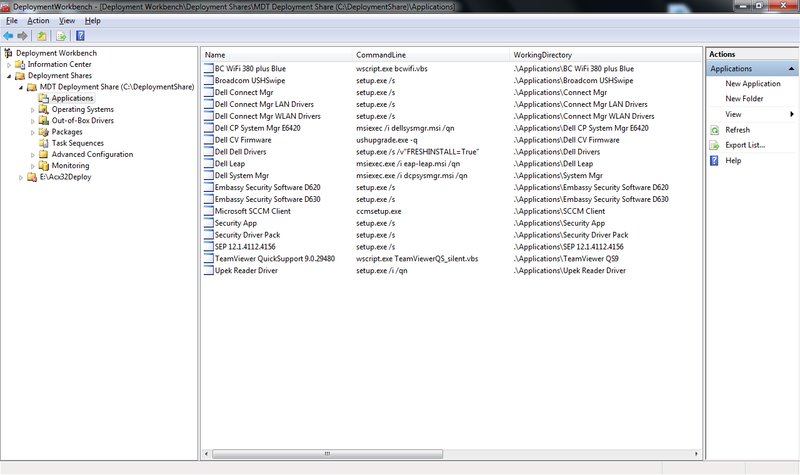 For starters this is CCM Client, so I need to configure my cSetupFile and my cSetupSwitches. 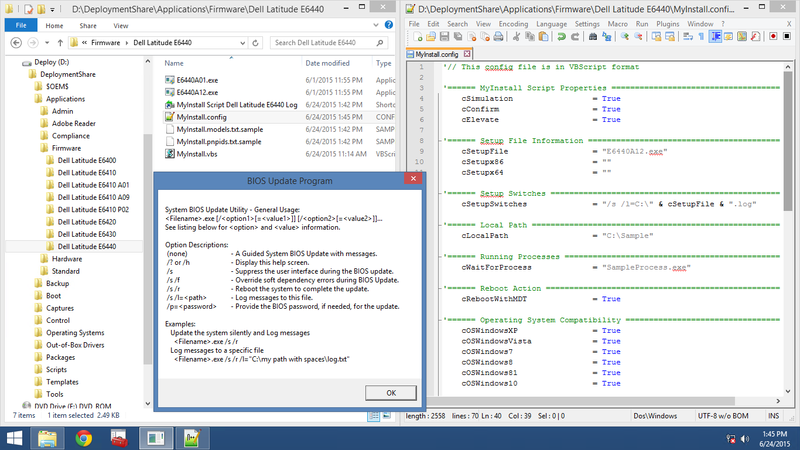 I then decide that I want it copied locally, so I configure my cLocalPath to copy to C:\Windows\Local. 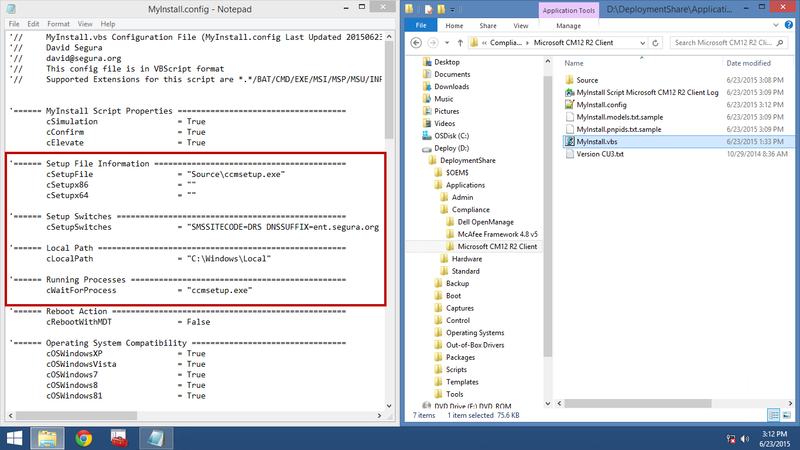 CCM Client will actually continue to the next Step in the MDT Task Sequence before it is really completed for some strange reason, so I need to configure cWaitForProcess to make sure that ccmsetup.exe is actually done running before exiting.